The unofficial hub of Chicago's craft brewing scene now has a snazzy new name. RAVENSWOOD — Ravenswood is cementing its reputation as Chicago's craft brewing and distilling hub with the introduction of the newly dubbed "Malt Row." Announced Tuesday by the Greater Ravenswood Chamber of Commerce, Malt Row gives an official designation to the cluster of breweries that includes Begyle, Band of Bohemia, Dovetail, Empirical, Half Acre and Spiteful, as well as Koval Distillery. “Our community of craft beverage manufacturers embodies a collaborative spirit and sense of neighborliness that we're proud to support," chamber Executive Director Megan Bunimovich said in a statement. "[We're] excited to play a role in creating a lasting identity that will help promote this diverse group of artisans and make it easier for them to engage with visitors for years to come," she said. 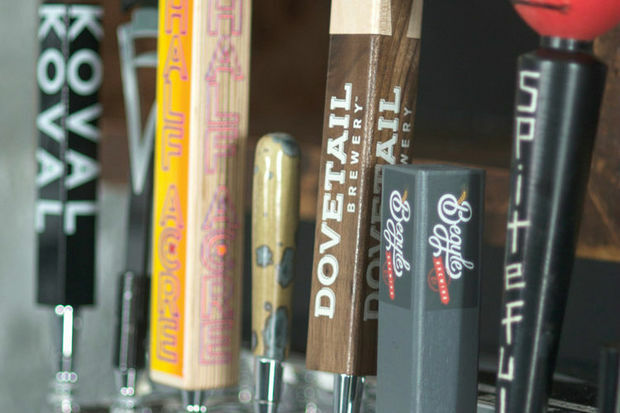 Along with the announcement of Malt Row, the chamber launched a website that includes a profile of each brewery and information on the upcoming Ravenswood on Tap, a two-day craft beer festival.